Buy 1 Rhizome, Get 1 Rhizome FREE! 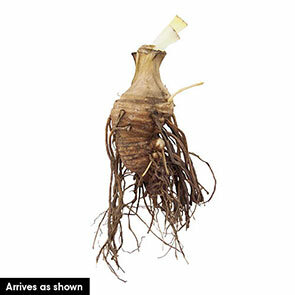 You will receive 1 FREE Rhizome when your order arrives. Please note, the additional 1 Rhizome will not show on your web order and will be processed when your order ships. 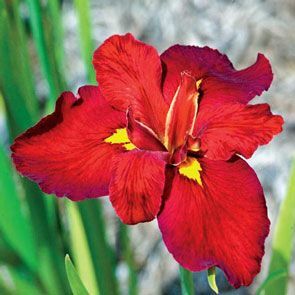 The very best classic red iris! This Southern belle is a true native American wildflower that's won every possible award we can think of! Ideal for your borders or butterfly garden. She'll thrive in a wide range of climates and soils— especially in easily flooded areas like the edge of a pond. Deer and rabbit resistant.